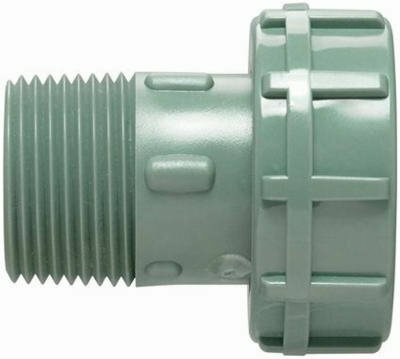 Brand: ORBIT IRRIGATION PRODUCTS, INC.
1" Male Pipe Thread x 1-1/4" Female Buttress, Green, Swivel Adapter, Connects 1" Valves To Heavy Duty Manifold, Connect, Expand Or Repair, Durable UV Resistant and High Impact Construction, Pre-Assembled, No Special Tools Required. If you have any questions about this product by ORBIT IRRIGATION PRODUCTS, INC., contact us by completing and submitting the form below. If you are looking for a specif part number, please include it with your message.